Shirley T. McCreary, 96, of Lancaster, passed away on February 1, 2018 at the Mennonite Home. She was the wife of the late Willard E. McCreary to whom she was married for 54 years prior to his death in 1999. Born in Roanoke, VA, she was the daughter of the late William D. and Elizabeth M. (Flora) Trout. After receiving her Bachelor’s Degree in 1944 from Radford State College, Shirley spent the early years of her career as a school teacher followed by dedicating herself as a homemaker to her loving family. In her spare time, she enjoyed gardening, cooking, spending time with friends and family and later volunteering at Cornwall Manor and for Meals on Wheels. She also enjoyed traveling with her late husband Willard to Europe, Africa, the islands, and throughout the USA and Canada. 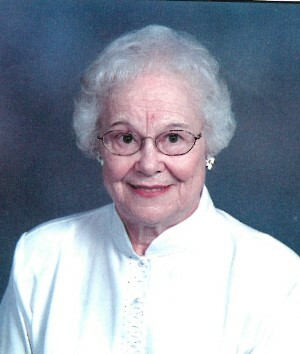 As a member of First United Methodist Church for 65 years she served in many capacities. She is survived by her daughter-in-law, Donna J. McCreary of Harrisburg, PA, brother-in-law, Roy Lee Forbes of Roanoke, VA and many nieces, nephews and their families. In addition to her husband and parents, she was predeceased by her sons, Charles W. and Philip L. McCreary, and sisters, Doris L. Peters, Flora Lee Forbes, and Mildred Trout and brother-in-law, Ira B. Peters. Shirley was my most favorite Sunday school teacher as I was growing up in First Methodist Church. She was so sweet and kind. I saw her lose so many close members of her family and she was always so grateful for daughter in law Donna. I am so sorry I am unable to be there for Shirley’s service; she knew how much I loved and cared about her. She was such a lovely lady! I had the privilege of knowing Shirley a short time through our sisterhood, and it was one of the bonuses of this loving organization. She always had a sweet smile and genuine caring demeanor. Rest in peace, dear sister. Gary and I have known Shirley and Willard since 1981, when we joined First United Methodist Church with our young family. We are so blessed to have known them over the years, taking part together in so many activities of our church. Shirley was the sweetest gal ever, and I loved our conversations whenever we saw each other at church. As years went by, she always asked about our kids, who were grown up, having families of their own. I will miss Shirley’s sweet face and smile. We extend our sincere condolences with love and prayers to all the family.! door keys and doing things together here at Woodcrest. I shall truly miss her now as much as I did when she moved to the Mennonite home. God Bless You, Shirley. And to Donna, Thank you for all you did ; You were a blessing to her. So sorry to hear of Shirley`s passing. I was a neighbor of her family on Bloomingdale Ave., she was a sweet lady and a member of our bridge club for many years, We had a close neighborhood when our kids were growing up and I really thought a lot of Shirley. Many condolences to her many family and friends.